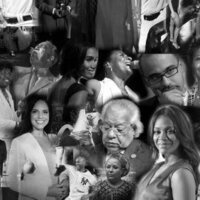 Blatinx: What is Afro-Latinidad and who gets to claim it? February is Black History Month, and part of that history includes the contributions and experiences of Latinos of African descent—who have and are currently navigating what it means to be both Black and Latino in the U.S. This workshop will focus on the challenges, contributions, and experience of Afro-Latinos in the United States. This workshop is free and open to UO students, faculty, and staff.